Café culture in and around South Kensington has in the last few years blossomed with an abundance of diversity and choice. 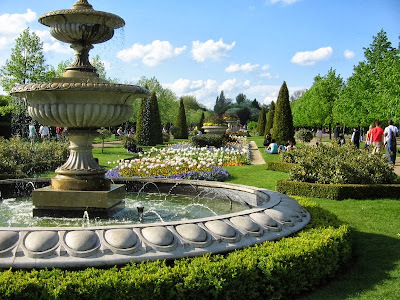 Refined and sophisticated by the French community; the historical landmarks and museums of South Kensington, Patisseries and coffee houses play home to many artistic extroverts while emulating the atmosphere found in the coffee houses of central Europe. 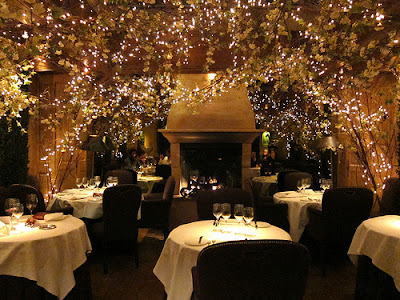 Such local establishments have an ambiance more intimate than our favourite high street chains. The coffee served is roasted and readied by those who choose to make a career out of this culture. 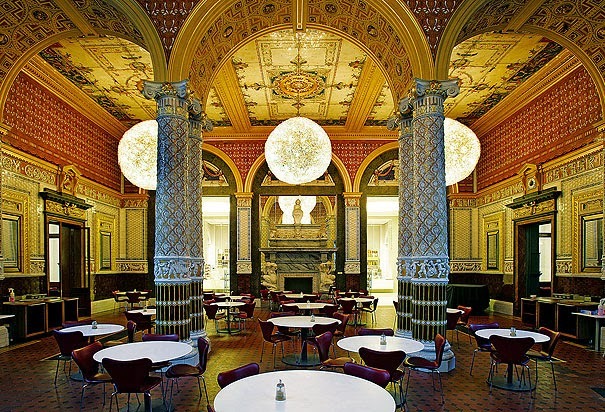 Stop by the V&A Café for a quick bite after visiting the brilliant and historical museum itself. With offerings of English cream tea and scones, fluffy meringues, colourful kids lunch boxes, deep filled sandwiches and even bottles of red wine, there’s something for everyone to enjoy. The café has gone down in the history books by standing as the world’s first ever museum restaurant. The café is an excellent place to start or end your museum visit while staying at Cheval Harrington Court. 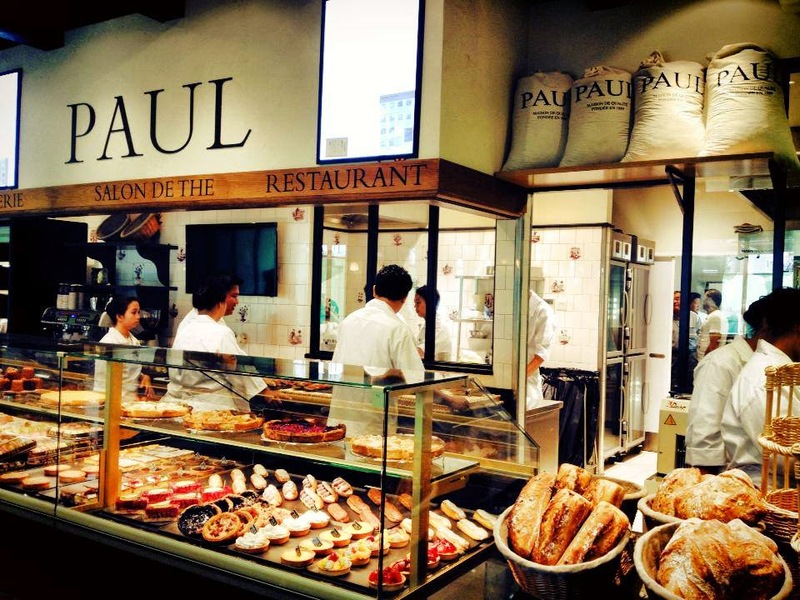 This traditional French bakery chain carries an impressive and immense selection of baked goods. Freshly made baguette sandwiches, colourful macaroons, fruity tarts, savoury crepes and a variety of éclair choices does not even scratch the surface. Acquiring a loyalty card grants you the benefit of a free Parisian breakfast consisting of a delightfully buttery croissant or rich pain au chocolat with a bold and earthy coffee. Branches in France stock an even larger plethora of edible goods including 140 types of bread! With outside seating, it’s a perfect choice to enjoy a pastry in the sun this summer and only moments from Cheval Harrington Court. 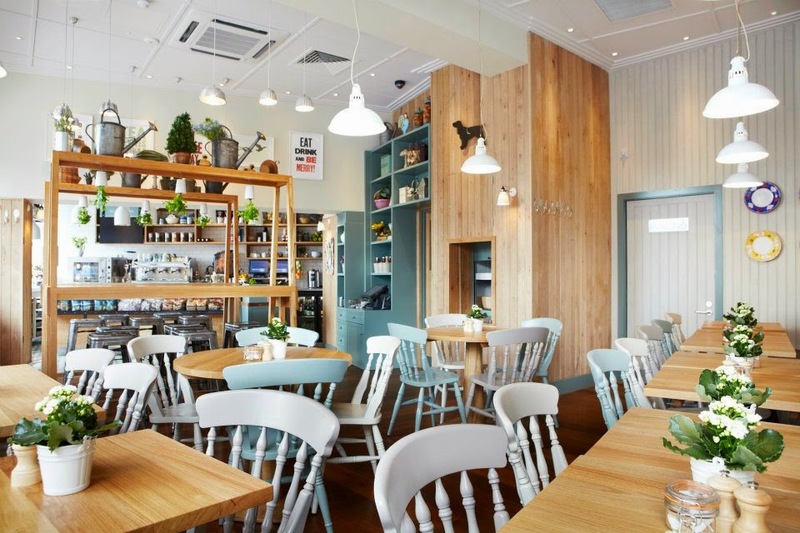 Muriel’s kitchen is an elegant café capturing the essence of a traditional British home, inspired by the hearty dishes of our Mothers and Grandmothers. The food served includes loaded English breakfasts, meaty beef lasagne, chunky feta and beetroot mashed potato, spiced vegetarian couscous and many other updated classic dishes. All ingredients are authentically local and hearty, ‘served with a dollop of love!’ The wall display consists of bicycles and quirky tea cups nailed to the wall, further encasing the idea of a stately home. After your meal why not treat yourself to a lovely slice of carrot cake and cup of English breakfast tea? Raison D’etre is a typical phrase meaning ‘reason for existence’ in French and with this bohemian café being awarded a certificate of excellence, it is considered to be one of best in London as recorded on Trip Advisor! 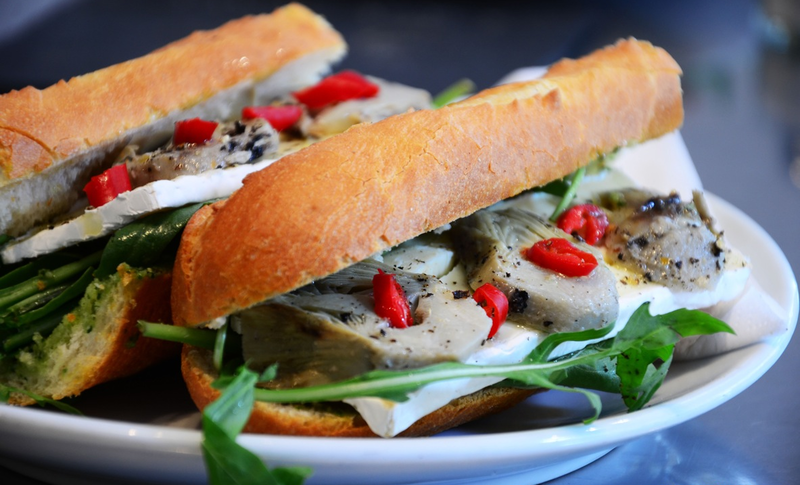 This humble café offers up a respectable range of bread choice including Baguette, Panini and Focaccia. The coffee is a diverse blend of beans hailing from Brazilian, Columbian and Panamanian origins creating a unique and mild flavour. This petite but brilliant café should be on every visitor’s to do list. Fernandez & Wells embodies a sleek and simplistic black and white interior complete with black chalk boards and dark brick work. 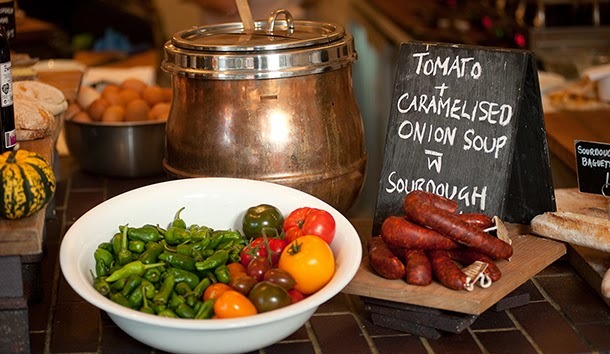 The menu offers a selection of cheeses, cured meats, wine and some extrovertly confident sandwich fillings including Scottish black pudding and 42 month matured Spanish Jamón. The locals rage about the deep flavoured and full bodied coffee, with each cup decorated with impressive leaf and heart coffee art. The up and coming chain boasts stores located in trendy Soho and the Strand, perfect for when on the move in central London. Family run for over a decade, Caffe Forum prides itself on maintaining independence where their Italian coffee is ground on site. The café aims to create a welcoming atmosphere with a sense of family and community, which is evident in the countless regular and returning customers they hold so dear. With an eclectic blend of European cultures, Caffe Forum offers up British, French, Greek and Italian sustenance, peddling up a selection of worldly pastries and biscuits, Italian pizzas, Greek salads, British breakfasts and a slew of other vegetarian options. The café also provides coffee lovers with a free croissant to start off their day on the right track. To review and book online visit www.chevalharringtoncourt.com now.